This bank was originally registered as the Dascroi Taluka Co-operative Federation in 1922. The above federation was financed by the apex bank for on-lending to the affiliated societies. 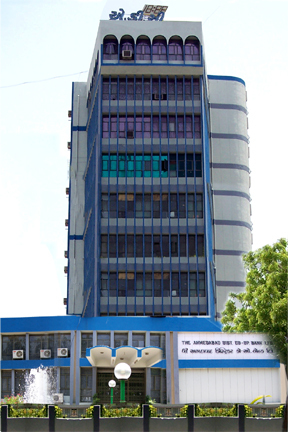 In the year 1925, the federation was given the name of ‘Dascroi Co-operative Banking Union’ and objects of this union were identical to that of the District Central Co-operative Bank, and subsequently in 1937 amendments were made in the bye-laws of the Union and the bank started functioning as ‘Ahmedabad Central Co-operative Bank Ltd.’ This bank became a full fledged central financing agency for Ahmedabad district in 1954 and since 1964 it is known as ‘THE AHMEDABAD DISTRICT CO-OPERATIVE BANK LTD’ The Gandhinagar district was included in its area of operation in March,1966. The bank is purely a federal body in its structure as only co-operative societies can be its members and individuals are enrolled as nominal members only. The bank is managed by the elected Board of Directors, which consist of 22 members representing different types of societies affiliated with the bank. 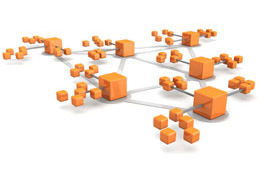 The Board has constituted various sub-committees for transacting different types of business. The bank’s Chairman and vice-Chairman are elected by the Board. The Chief Executive Officer of the bank is also member of the Board. Most of the directors are elected unopposed. The present Chairman Shri Ajaybhai Patel is being unanimously elected unopposed for the third time in succession since 2003. Under his dynamic leadership the management of the bank has been more transparent. In economic liberalization, the banking scenario has changed a lot and competition has become more severe, in addition the co-op banks have been included in Income Tax net along with the other more professionally managed banks all these have put a tremendous pressure on profitability of the bank. Under these circumstances, our chairman is successful in leading the bank to a commendable position by his dynamic leadership and fore sightedness. The bank with 89 years of its presence in and around Ahmedabad, Gandhinagar and Botad Districts has catered to the banking needs of the farmers and other villagers which have resulted in sizable increase in the deposits of the bank. The bank has also made special efforts for mobilization of deposits by cultivating habits of savings in the rural area. The bank has a wide network of 196 branches network across three districts under its jurisdiction as on 28-07-2017. This bank has opened branches not only at taluka and business centers but also in the smallest centers in the rural areas with a consideration to serve farmer community, who were deprived of banking facilities. 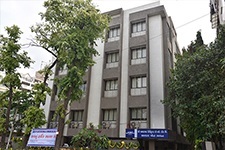 The bank has its own building in prime location situated just opposite new office building of Reserve Bank of India, Ahmedabad. It is a multi-storied building with multi-banking facilities including safe deposit lockers. The Head Office and main branch of the bank function from this building. Most of the branches of the bank are functioning from their own buildings. The bank also provides safe deposit locker facilities. The ADC Bank is a vibrant bank of the vibrant Gujarat. To enhance the business of the Bank it has started Non-Farm advances since 1999. The products in the basket for Non-Farm are Loan for two wheeler vehicles, Loans for vehicles, Loans for rented vehicle loans, Loan for Consumer Durable goods, Housing Loan, Security Loan, Higher Education Loan, H.P.C.C Loan, Personal Loan, Traders over draft, Gold Loan, Suvarna Jyanti Shaheri Rojgar Yojna, Self Help Group, Cash credit working capital/Term Loan. The various Schemes of Central Government and NABARD such as Kisan Credit Card, Self Help Group, Joint Liability Group, Farmers Club, Crop Insurance, Group Insurance, Rural Group Accident etc. are implemented by the bank. The bank is always trying to help in the all round progress of the farmers under its area of operation. The bank has implemented Vaidyanathan Committee recommendations. Under Agriculture Debt waiver & Debt Relief scheme 2008 bank has submitted total claims of Rs.95.58 crore. In this modern age of globalization, liberalization and computerization our bank is one of the few DCCBs in the State, which is fully computerized. With a view to computerize the working of the member service co-op credit societies also, the bank has provided computers to all the members societies at a token rent of rupee one per annum. This will facilitate the societies to keep their accounts accurate and up-to-date and to improve their customer services. The bank is also trying to make each branch a result oriented profit making unit. The bank has fulfilled all the banking parameters and started making profit in real terms. The intrinsic value of the bank has increased. 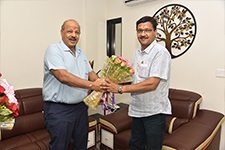 Thus under the leadership of Chairman Shri Ajaybhai Patel and guidance of members of the Board during the last six years, the bank has achieved all its targets in mobilizing low cost deposits, recovery of long over dues and reeducation in NPAs. The secured non-farm advances of the bank also increased. All these factors have helped the bank to make all-round progress and to gain financial strength. At present the ADC bank is the number one DCCB of Gujarat and one of the leading DCCBs of the country.